James Patterson has slowly wormed his way in as one of my favorite authors. 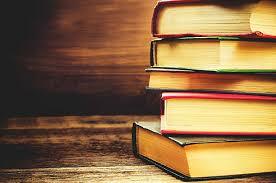 Every time I pick up one of his books, I know I’m going to enjoy it. If he’s not writing a book by himself, Patterson teams up with other writers, thus making his books change slightly from person to person. I have yet to find one that hasn’t piqued my interest and as such I plan to keep reading books by James Patterson until I grow tired of him. 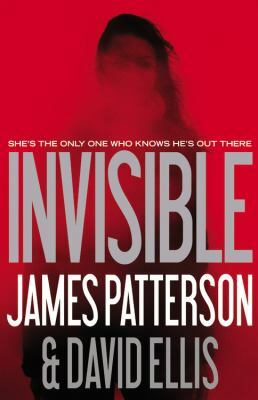 Invisible by James Patterson and David Ellis was my latest listen. I had listened to another Patterson/Ellis book previously, so I pretty much knew I was going to enjoy it. Bonus part: the male narrator of this book(there are multiple narrators) is someone that has narrated other books that I have really enjoyed. His delivery really captures each character’s personality. In Invisible, Emmy Dockery is on leave from the FBI. After her sister’s grisly death, Emmy finds that she can’t do her job as a research analyst for the FBI as effectively as she used to. On leave, her sister’s death consumes her. Emmy is obsessed with finding a link between hundreds of unsolved cases that she believes are connected. Having set up Google alerts for crimes similar to how her sister died, Emmy is inundated with newspaper clippings of events that all seem to be related. Waking up gasping in the middle of the night, Emmy’s recurring nightmares mimic how her sister died and leave her even more desirous to connect these unsolved cases. Calling in a favor from her ex-boyfriend, field agent Harrison “Books” Bookman, Emmy hopes that he will be able to help her finding the missing piece in this string of brutal kidnappings, rapes, and murders that all have a fire element. No one believes her that these unsolved cases could be connected, even when she lines up all the facts that she has gathered. It isn’t until Emmy finds a certain piece of evidence that Books perks up and begins to believe that what she is saying could possible be true. This story alternated between Emmy’s story and a mystery man’s story. Reading those alternate chapters back to back really ups the creepy, thrilling, suspenseful nature of this book.